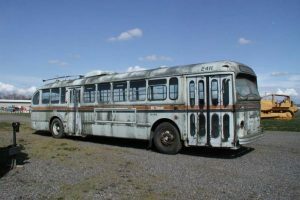 This trolley bus was part of a large fleet that ran in Vancouver. Vancouver continues to run trolley buses with the second largest system in North America. This bus is made out of Aluminum. It was built by Canadian Car & Foundry-Brill, of Fort William (now Thunder Bay), Ontario. J.G. Brill of Philadelphia was the American licencor. 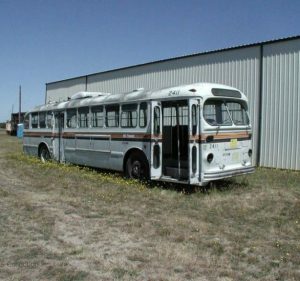 The museum acquired the trolley bus in March 2002 through a generous donation of member.